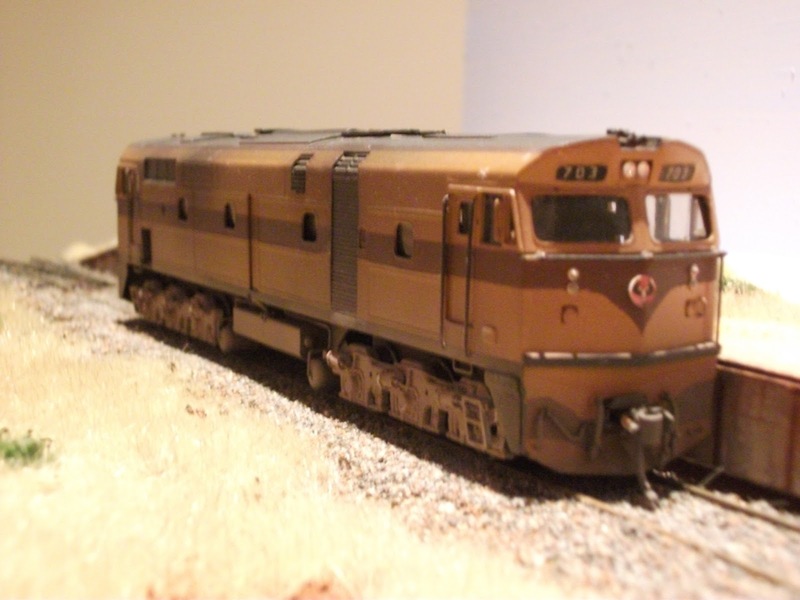 The Musings of a NSW modeler...: Loco for Sale! I am selling a loco to raise some funds for some investment in the layout. For sale is a Mansfield Brass NSWGR 442/SAR 700 class HO scale loco. Locomotive comes with original box and information sheet, which is in reasonable condition for age. 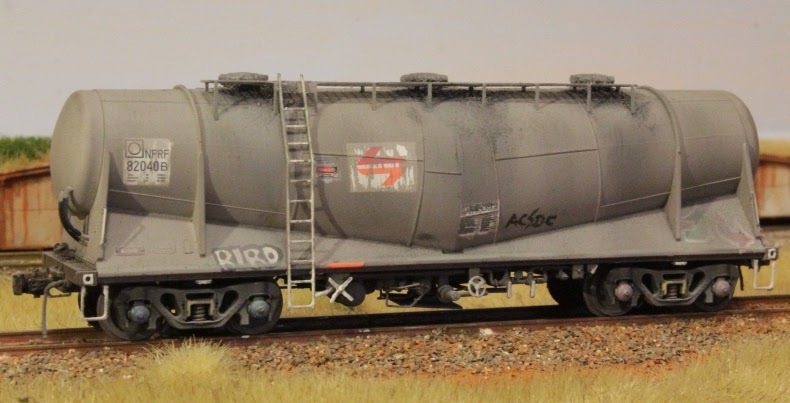 Model has been painted into South Australian Railways 'Mustard Pot' livery with 703 running number.Model is well detailed with fitted handrails/coupler release bar/air hoses, also has Kadee No. 5 knuckle couplers fitted and features jewel headlights. This locomotive has had the bogie drive shafts removed as it was run as a dummy unit. Shafts do not come with loco, but all other components of the drive line are intact. Motor runs excellently and has been oiled. Bogies run freely. I understand that some companies do sell aftermarket parts for these locos so it may be possible to obtain replacement shafts. Model has been professionally weathered but can be stripped and repaint into a NSWGR colour scheme. Hi All! Kyle here. I live on the South coast of NSW. I have 2 blogs. One follows my own HO scale work, that i do for myself and for customers. So contact me if you are interested. My second blog follows the results of a holiday brainstorming session with an engineering buddy of mine, and such have embarked on a joint venture to create a 'freelanced' 7.25 inch gauge locomotive.